MOSCOW, April 18. /TASS/. Russia and China plan to sign a contract on production of the Advanced Heavy Lifter (AHL) helicopter in May-June, a source in Russia’s defense-industrial sector told TASS. "The Russian side plans to sign a contract in the first half of 2018," he said, adding that "the contract cost and payment procedure are currently finalized." 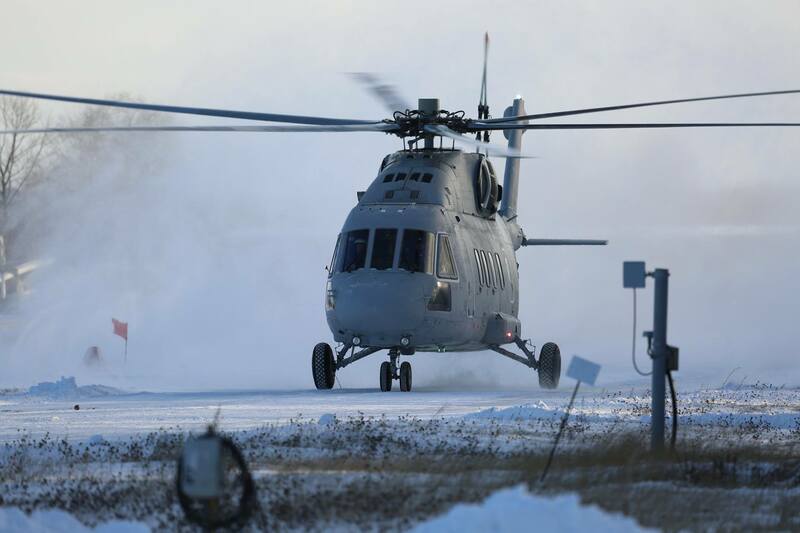 The Russian-Chinese AHL (Advanced Heavy Lift) helicopter is being co-developed by Russian corporation Russian Helicopters and Chinese corporation AVIC. According to the information released by the partners, the machine will have a maximum takeoff weight of 38.2 tons, a service ceiling of 5,700 m, a range of 630 km and a maximum speed of 300 km. The AHL’s lifting capacity will stand at 10 tons for internal cargo carriage and at 15 tons for underslung cargo. 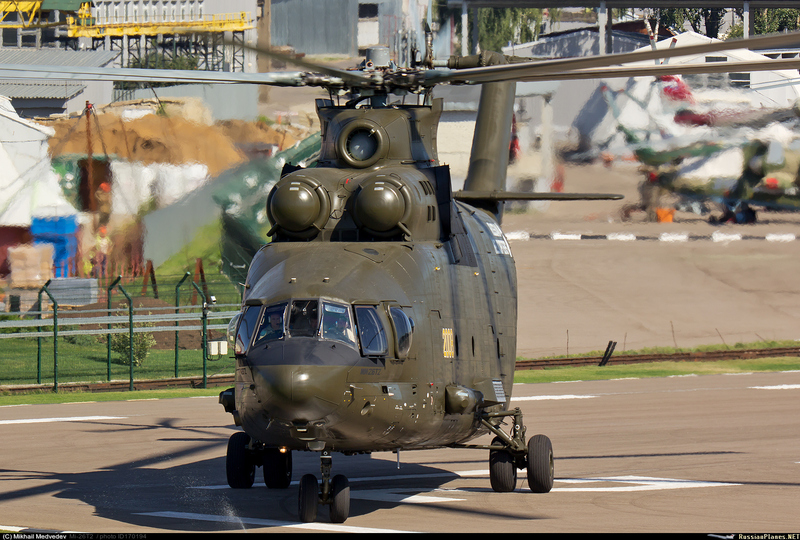 Helicopter and aircraft markets are not independent and Russian Helicopters would be smart offiering this helicopter (Mi-46 designation?) for the Russian market and even for the Russian Ministry of Defense. The precedent for helicopters of this size the Mi-6/10/22 was a success. June just begins, I have little doubt that this contract will be signed, not problem with it. Small helicopters under 2 tons of Maximum Take-Off Weight that are only of civil interest. Ka-27 family + Mi-8 family: With the Ka-40 Minoga in development, that is likely to be compatible for sea and land based platforms. The new AHL is a safe bet, is created at request of the custormers, in this case at request of China, with more than enough potential orders before to begin. The success is assured, and would not make sense to offer not it to Russian customers, including the Russian Ministry of Defense, with a Russian engine. Russian helicopters has been reluctant to offer it to Russian markets, but likely they will realize that with the Mi-26 on the market and the Mi-38 comming an important customer prefered the development of a new helicopter just in the middle of both, because the new helicopter fits better their needs. China is not a rare case, this can be also the case of many other customers, including in Russia, and to complete the local offer with the new helicopter can close the door to foreign helicopters of this size, and can take a good part of the market for aircrafts of this size. The new Mi-46(? )/AHL is just of the size of the An-72/71/74 and the An-148/158/178. The new helicopter is coming just in the moment when the production of the An-148 is being stopped in Russia. Russian Helicopters can fight to take orders of aircrafts of this size with this new helicopter, like the new Mi-38 can also fight to take the orders in the size cathegory of the An-24/26/30/32, the An-140 and the new Il-112. To note that with the success assured, the development of a Russian engine for this helicopter, if necessary, would not hurt the business, being instead an opportunity of increasing the profit for Russian aircraft engine companies. The Mi-6/10/22, previous helicopter of the same size cathegory, had Russian made engines. Also, there is a plan of another new helicopter of this size, the Ka-102, that will also require Russian engines. This future helicopter will include the new high speed technologies, it means that likely will require long testing period. To offer this new Mi-46(? )/AHL helicopter to Russian and foreign custormers can help to a even more careful development of the Ka-102, as a gap closer. There is a demand of the customers, of which the Chinese demand is only one example, and not a rare one. Surely one of them, the Mi-46(? )/AHL or the Ka-102, is required in the markets before the end of 2025. The customers that need an aircraft/herlicopter with 10-15 tons of payload will not buy a Mi-38, because it does not fit the needs. And also can leave the option of a Mi-26 of 20 tons of payload because of being too big and more expensive. Russian helicopters should not fear that this helicopter damages the prospect of the Mi-26. If this would be the case, it would mean that the Mi-26 would be oversized for the needs of the customers, but I do not think this is right. The Mi-26 would keep still its own niche for customers that need to deal with bigger loads, and likely the development of a new successor of the Mi-26 will be required soon. Likely the competence for the Mi-26 will be more in the aircrafts of the same size than in this new helicopter. So apparently US idealogues/anti-Russia stuff has forced Afghan govt to buy (or have bought for it) Blackhawks to replace the Mi-17s the US had purchased for them earlier in the decade. Training on the UH-60A Black Hawk continued for 22 pilots and 16 special mission operators. As of March 2018, 8 Black Hawks had been delivered to the AAF with another 45 purchased but not yet fielded out of a total 159 planned as part of the ANDSF Road Map's AAF modernization.The US plan to replace the AAF's fleet of Russian-made Mi-17 helicopters with Black Hawks will require Black Hawk crews to operate over areas currently serviced by the Mi-17. The transition presents several challenges that have yet to be fully addressed. Black Hawks do not have the lift capacity of Mi-17s. They are unable to accommodate some of the larger cargo items the Mi-17s can carry, and in general, it takes almost two Black Hawks to carry the load of a single Mi-17. Furthermore, unlike Mi-17s, Black Hawks can not fly at high elevations and, as such, can not operate in remote regions of Afghanistan where Mi-17s operate. 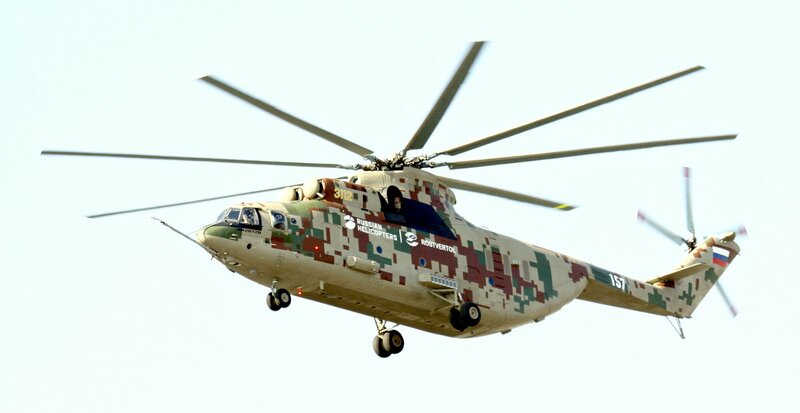 According to 9th AETF-A, the Mi-17s will play a "crucial role" in the near term fighting season.170 In the future, as Mi-17s phase out of service, the aforementioned challenges will become more pronounced. Afghans are performing roughly 80 percent of the maintenance tasks on their Mi-17s and rely on contractor logistics support for the remaining 20 percent. According to the 9th AETF-A, the Mi-17 is "much more conducive to the education level available in the general Afghan population than the UH-60As" when it comes to maintenance. The expectation is that the AAF will be almost entirely reliant on contractors for Black Hawk maintenance in the nearto mid-term. Maintenance contracts will scale down as the Mi-17 fleet size decreases, and according to the 9th AETF-A, the contracts will also reduce emphasis on aircraft readiness and place more emphasis on building Afghan maintenance capacity.Since the Mi-17s will be taken out of service, it is not clear how much benefit there is in continuing to train Afghans to maintain the Mi-17. MOSCOW, June 26. /TASS/. 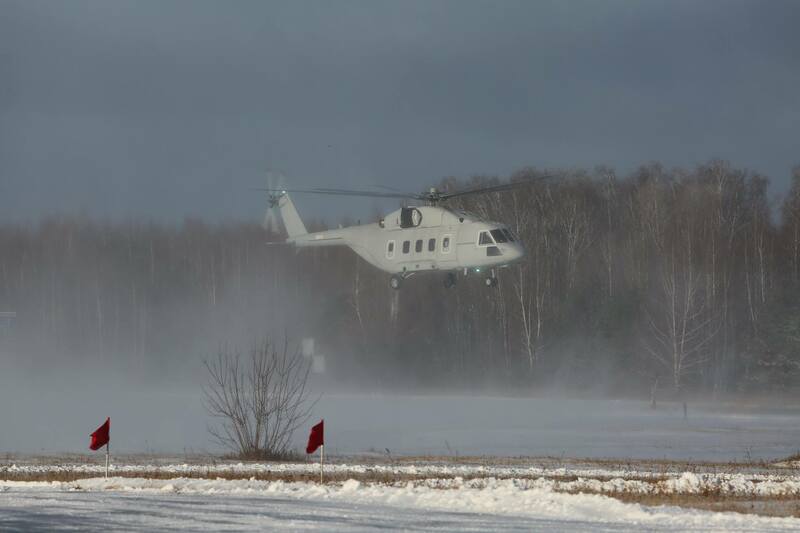 The Mi-26 (NATO reporting name: Halo) heavy-lift helicopter furnished with the Vitebsk defensive aids suit has been delivered to the State Flight Testing Center of Russia’s Defense Ministry in Akhtubinsk for trials, the Mil Helicopter Plant said in its annual report on Tuesday. "For the purpose of raising the combat survivability of Mi-26 helicopters and considering the positive results of the defensive aids suit held earlier, and also in view of the upgrade of the Vitebsk defensive aids suit by way of replacing the gas laser with the solid-propellant version, the Defense Ministry of Russia has made a decision … on the procedure of arranging work for equipping serial-produced Mi-26 helicopters with the Vitebsk defensive aids suits," the annual report says. "In 2017, the following work was carried out: the Mi-26 helicopter furnished with the Vitebsk defensive aids suit was transferred to military unit 15650 [the State Flight Testing Center of Russia’s Defense Ministry] for control flight tests," the document says. As Russia’s Defense Ministry reported earlier, the defensive aids suit will be capable of shielding helicopters from any existing or future air defense weapons produced abroad. ROSTOV-ON-DON, August 7. /TASS/. The Rosvertol company, which is part of the Russian Helicopters holding, plans to start mass production of the upgraded version of heavy Mi-26T2 helicopter in 2019, Igor Sychev, senior engineer at Rosvertol, told reporters. "We plan to complete tests in 2019 and starting from 2019 its mass production will be launched by the order of the Defense Ministry," he said. Military-transport Mi-26T helicopter (Halo by NATO classification) has the biggest lifting power in the world. It made the maiden flight in 1977. Maximum speed is 270 km/h, the range is 800 km. It can carry 82 paratroopers. The helicopter is used for various missions - transportation, evacuation, firefighting and so on. It is capable of carrying up to 20 tons of cargo inside the body or on the external suspension. Reportedly, factory flight tests of the prototype of the modernized heavy military transport helicopter Mi-26T2B, created in the interests of the Russian Defense Ministry, began in Rostov-on-Don at Rostvertol (part of the Russian Helicopters). In the near future this board will be demonstrated at the International Military Technical Forum "Army-2018" in the Moscow region of Kubinka. The first prototype of the modernized Mi-26T2V helicopter was converted from a Mi-26 helicopter with the serial number 34001212157 (serial number 13-06) built in 1988. This helicopter was operated in the Arctic in the aviation of the Border Guard Service with the tail number "97 yellow", but since 2012 it was stored at the Danilovo airfield (Yoshkar-Ola). In May 2015, on the suspension of the Mi-26T helicopter, it was transported to Rostvertol JSC, where the capital repair and re-equipment in the prototype of the modernized Mi-26T2B helicopter was completed. Now the board bears the onboard numbers "3112" and "157" and a bizarre pixel color. It is reported that after the demonstration at the "Army-2018" this helicopter will pass a complex of preliminary tests for the JSC "Moscow Helicopter Plant named after ML Mil" (MVZ), after which it will be handed over to the military for state tests in the 929th State Flight Test center of the Ministry of Defense of the Russian Federation named after V. P. Chkalov in Akhtubinsk, Astrakhan region. According to the press release of Helicopters of Russia JSC, "the new helicopter differs from the basic Mi-26 model by a modern integrated complex of on-board radio electronic equipment NPK90-2V, which greatly simplifies the piloting of the helicopter." The newest avionics system allows for automatic flight, en route pre-set point, approach, as well as pre-landing maneuvering and return to the main or alternate aerodrome In addition to this, a digital flight control system is installed on the helicopter, and in the cab e crew were color liquid crystal multifunction displays, greatly reduce the workload on the flight crew. In addition, Mi-26T2V got a new airborne defense system "Vitebsk", not only to detect the fact of threats to the helicopter, but also counteracting attack means. Lighting equipment Mi-26T2 is now adapted to use night vision goggles, and in the cockpit of the helicopter are installed new energy-absorbing armchairs crew. Improvements also touched on the navigation system and satellite communications facilities of the helicopter. " Bunch of new defensive suite on fuselage sides & under nose. It's not the last camo pattern we'll see, so don't worry. In the new Mi-171A2 was introduced about 80 changes in relation to the basic model, including the use of all-composite blades advanced aerodynamic configuration and engines VK-2500PS-03 with a digital control system. VK-2500 is a version of the turbo-jet engine TV3-117VMA, developed by the Russian Design Bureau. MOSCOW (Sputnik) – The preliminary tests of the Russian modernized Mi-26T2V heavy military transport helicopter are expected to be completed by the end of the year, after which official tests will begin, the Russian Helicopters manufacturing company told Sputnik. "Russian Helicopters expects to complete the preliminary tests of the heavy Mi-26T2V helicopter and begin the joint tests with the government by the end of this year," the press service of the company, which is part of the Rostec defense industry conglomerate, said. In July, the Rostvertol aviation plant said that the official tests of the helicopter were planned to be completed in 2019 after which series production was planned to be started. The new helicopter is equipped with advanced avionics allowing for piloting it both during daylight hours and in the dark and carrying out various maneuvers. The helicopter is also equipped with a defense system ensuring protection from anti-aircraft missiles. The modernized helicopter was for the first time showcased at the Army 2018 defense show in August. Mi-26 Halo is the largest and the most powerful helicopter in the world used for transporting air landing troops and large equipment. A strong competitor for the Il-112 taking advantage by earlier development..
Real surreal...whats even crazier is that it's probably a good 15 meters or more behind the Mi-35, but still dwarfed it anyway. KAZAN, November 23. /TASS/. A Mil Mi-38T military transport helicopter manufactured at the Kazan Rotorcraft Factory made its debut flight under the program of preliminary trials, a TASS correspondent reported from the scene. 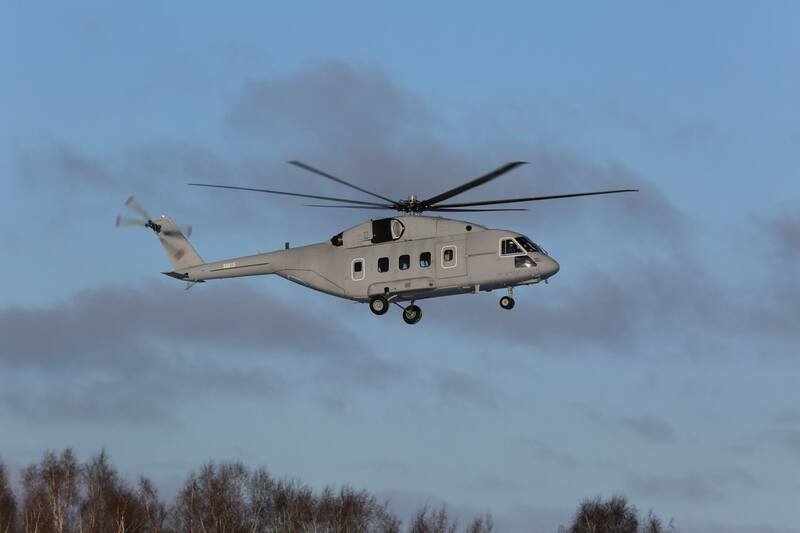 The helicopter’s debut flight was performed by test pilots of the Moscow-based Mil Rotorcraft Factory of Russian Helicopters Group (part of the state hi-tech corporation Rostec). "The Mi-38T, which today performed its first flight, is the version, which the Group, the Factory and the Mil Design Bureau were making under a technical assignment approved by the Defense Ministry. 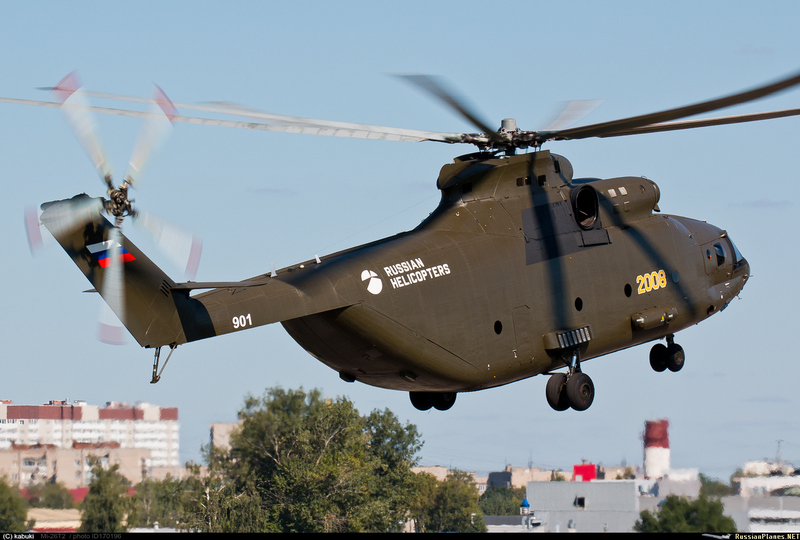 This helicopter has been made on the basis of the civil rotorcraft whose production has been organized at the Kazan Rotorcraft Factory. This is the helicopter that has actually all the basic certificates of Rosaviatsiya [the Russian aviation watchdog]. This is a continuation and a possibility to enter a new market for us. This work is very important for the Group, both for the Design Bureau and the Factory, because this will help utilize the enterprise’s capacities, create jobs and ensure tax receipts in the region," Russian Helicopters Group CEO Andrei Boginsky told journalists. By today, a contract has been signed for the delivery of two helicopters for the Defense Ministry. The first deliveries to the customer are planned to begin in 2019. Also, work is underway for promoting the new helicopter on foreign markets, the chief executive said. "This opens prospects for work on the external market. This work with our colleagues from Rosoboronexport [state arms seller] has already begun. Jointly with them, we are offering this type of the helicopter for our foreign customers - the defense ministries of various countries," Boginsky said. During joint special flight trials, all the systems and equipment of the Mi-38T helicopter will be checked for their compliance with the requirements of the technical assignment of Russia’s Defense Ministry. The helicopter has been developed on the basis of the certified Mi-38 civil helicopter and has been re-equipped to deal with transportation and troop landing tasks. The helicopter can also be reconfigured into an ambulance rotorcraft and supplied with additional fuel tanks for extending its flight range. As Deputy Managing Director of the Kazan Rotorcraft Factory Vadim Ligai told journalists, the helicopter can take up to 40 passengers on its board. The rotorcraft is 99% made of domestic components. Mi-38 helicopters are equipped with TV7-117V highly efficient engines produced by the Klimov United Engine-Making Corporation. The helicopter features an integrated digital pilot navigation system with data shown on five liquid crystal displays and an explosion-proof protected fuel system. Additional landing gear struts enable the helicopter to land on soft ground and snow. The helicopter’s cabin is furnished with easily removable seats, detachable medical equipment and roller equipment for cargo transportation. Mi-38 helicopters can be used for transporting cargoes and passengers, carrying out search and rescue operations and making VIP transportation in various climatic conditions, including the sea, tropical and cold climate. Specialized helicopters, including the Arctic version, are planned to be produced on the basis of the Mi-38T transport rotorcraft. I saw the video. The Mi-38 looks weird without weapons outriggers. Hole wrote: It isn´t that simple. Yeah I think it's more like a hybrid between Mi-8/Mi-17 and the Mi-26, which isn't a surprise because it's supposed to be the 'middle-ground' between the two helicopters....like a Mi-8/17 started transforming in to the Mi-26, but stopped midway. It has always been a replacement/upgrade for the Hip family of helicopters, but has the misfortune that the Hips are still good aircraft and are still selling well. I like it, is like future streamlined version of Mi-8. I wonder if it'd be worthwhile giving it the new high speed rotors, or its already got them? Probably wont be as big of a success as the Mi-8 series, but likely find its place in the ground forces. Likely relieves much of the Mi-26 of it's personnel transportation duties, where the Mi-26's focuses solely on moving supplies and equipment, and Mi-38's focuses solely on moving troops and civilians alike. We've seen Mi-8/17's self-defense suites, but never on Mi-26's likely because of military doctrine. You won't bring a Mi-26 anywhere near a hot spot, only will defended green-zones, so it's a moot point to add a DIRCM suite for it, but the Mi-8/17's doctrine is an entirely different conversation altogether (hence the armament and self-defense suites). I believe the main existence of the Mi-38's is to take the duties of Mi-8/17 but to a much greater and more powerful capacity (armaments, troops, ECM, etc.). I'm more inclined to believe the military versions of Mi-38 will have Vitebsk suites serial produced.